A quick blog this week, before many celebrate the Easter weekend. 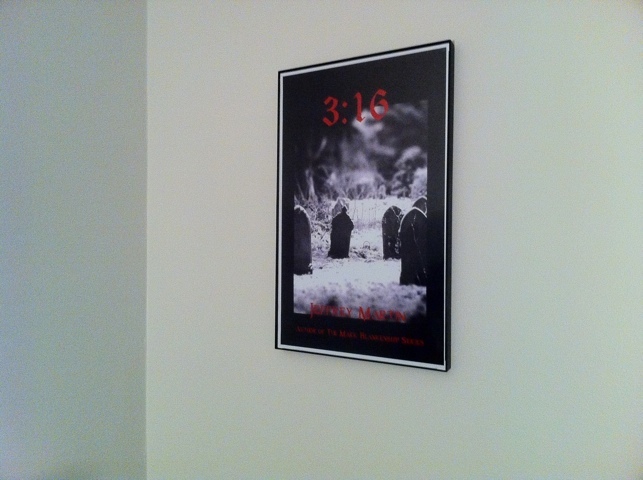 We are going to give away a signed wall print of my latest novel, 3:16. All you have to do is send me an email and You will be added to my pool of lucky contestants! I will announce a winner next weekend. 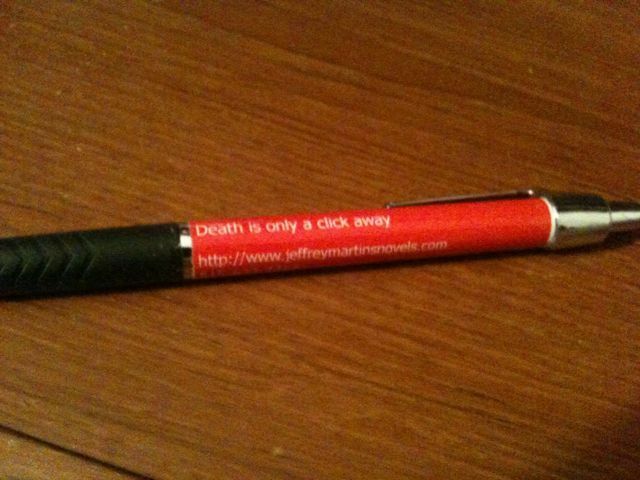 So, without further ado, send me a line with your name and addy, and remember…death is only a click away! Thanks to the outstanding staff at The Bookworm in Omaha, Nebraska. It was a pleasure to meet new fans and friends. If you didn’t make it out, I did sign a few copies and they will be on the shelf. 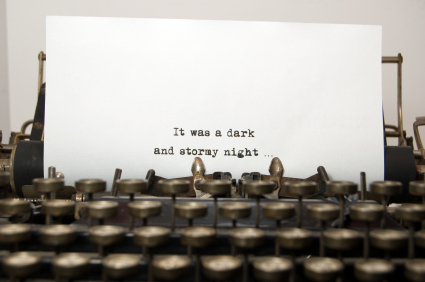 Stop by and pick up one…and remember…death is only a click away. 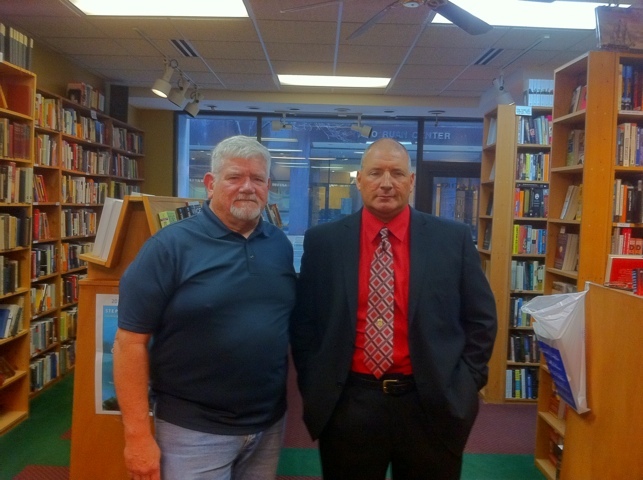 A big thank you goes out to John at The Book Store, in downtown Des Moines! Met some cool people and signed some books. Here’s a pic of a new fan…hehe! 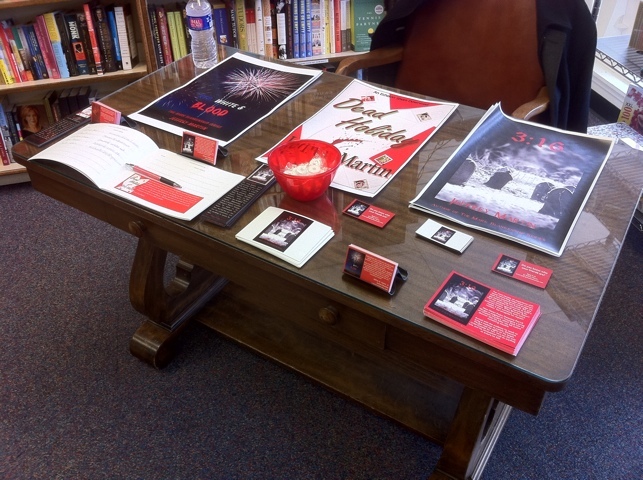 This weekend, if you are in the Des Moines or Omaha areas, stop in to say “hi” at the following events! Hope to see you there. Friday, April 15, 2011, at 12:00 p.m.
Sunday, April 17, 2011, at 1:00 p.m.